Dr. Scott Podolsky spoke today at the National Library of Medicine on “Antibiotic Pasts and Futures: Seven Decades of Reform and Resistance.” Dr. Podolsky is director of the Center for the History of Medicine at the Francis A. Countway Library of Medicine. Circulating Now interviewed him about his work. 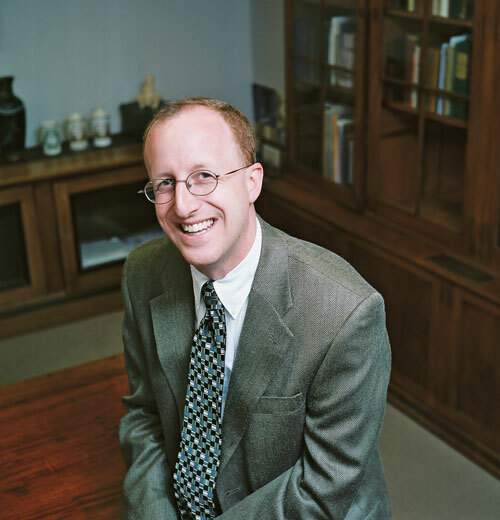 Scott Podolsky: I’m a primary care physician at Massachusetts General Hospital, associate professor in the department of Global Health and Social Medicine at Harvard Medical School, and director of the Center for the History of Medicine at the Francis A. Countway Library of Medicine. I see patients in the office three mornings per week (though Friday “morning” often goes to 5pm), and otherwise balance my time between administration, research, teaching, and going to little league games. It’s made possible (sincerely) by amazing support and colleagues in each of these aspects of my life. My historical research has generally reflected my larger academic or professional surroundings and interests. As an undergraduate I was chiefly interested in the history of biology, as a medical student I co-wrote (with Fred Tauber) Generation of Diversity: Clonal Selection Theory and the Rise of Molecular Immunology (1997, Harvard University Press), and as medical resident and then practicing clinician I turned my attention to the history of therapeutics, writing Pneumonia Before Antibiotics: Therapeutic Evolution and Evaluation in Twentieth-Century America (2006, Johns Hopkins University Press), and co-editing (with Charley Bryan) Oliver Wendell Holmes: Physician and Man of Letters (2009, Science History Publications). 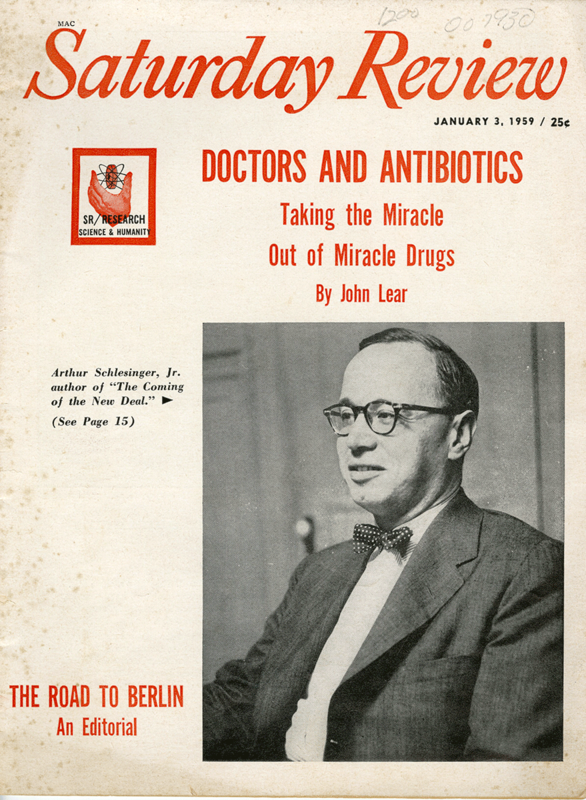 John Lear’s article in the January 3, 1959 issue of the Saturday Review on “Taking the Miracle Out of the Miracle Drugs” served as one of the first public critiques of antibiotic overuse and over-promotion. SP: The talk presented some of the key themes from my forthcoming book, The Antibiotic Era: Reform, Resistance, and the Pursuit of a Rational Therapeutics (2015, Johns Hopkins University Press), which focuses on the history of antibiotic reform efforts and the changing strategies and networks formed by reformers at the intersection of evolving bugs and drugs, patients and doctors, industry and medical academia, and government and the media. I was able to draw on over thirty archival collections in researching the book, with some of the most important collections, as detailed below, held at the NLM. I don’t think we can fully appreciate our present options with respect to global antibiotic development, usage, and resistance without a deeper understanding of the historical forces that have brought us to this point. CN: What role has education had in the history of antibiotic reform? SP: Reformers have long considered both regulatory and educational measures to promote the rational use of antibiotics. Regulatory measures have ranged from simply mandating that antibiotic use requires a prescription from a clinician, to forbidding the introduction of a particular antibiotic into a market (human or animal), to placing constraints on which antibiotics could be used in office or hospital settings (with particular types of permission required to override such restrictions). Reformers have introduced educational measures for prescribers from the 1960s onward, with approaches ranging from proposed guidelines and audits to individualized academic “counter-detailing.” From the 1990s onward, they’ve turned their attention to educating the wider public, realizing the degree to which prescribers are influenced by their patients (who have, in turn, often been “educated” by previous clinical encounters). Both regulatory and educational approaches have their strengths and limitations, while the success of either remains dependent on the very structures governing the delivery of medical care, whether in the U.S. or globally. CN: You’ve made extensive use of the manuscripts collections here at NLM, tell us what you’ve discovered here. at Gallinger Municipal Hospital in 1949. Box 1, folder 1, MS C 372. SP: The archival collections at the NLM have been essential to my understanding of reformers’ evolving attempts to promote rational antibiotic use and a rational therapeutics more broadly over the past seven decades. In the 1950s and 1960s, clinical investigators like Harry Dowling and John Adriani were among those who first addressed concerns that understudied yet over-marketed and over-prescribed antibiotics would threaten not only the future of antibiotics, but the very credibility of the linked medical and pharmaceutical professions. FDA chiefs James Goddard and Herbert Ley, in the late 1960s, were instrumental to the related formation and implementation of the DESI (Drug Efficacy Study and Implementation) process, by which the FDA was empowered, emblematically, to remove seemingly inappropriate antibiotics from the marketplace, a key component of FDA empowerment more generally. But this was only one site of intervention, and by the late 1980s, Joshua Lederberg was at the forefront of those calling attention to “emerging infections” more generally, and antibiotic resistance in particular, leading to a marked increase in attention to antibiotic resistance (and potential measures to contain it) from the 1990s onward. 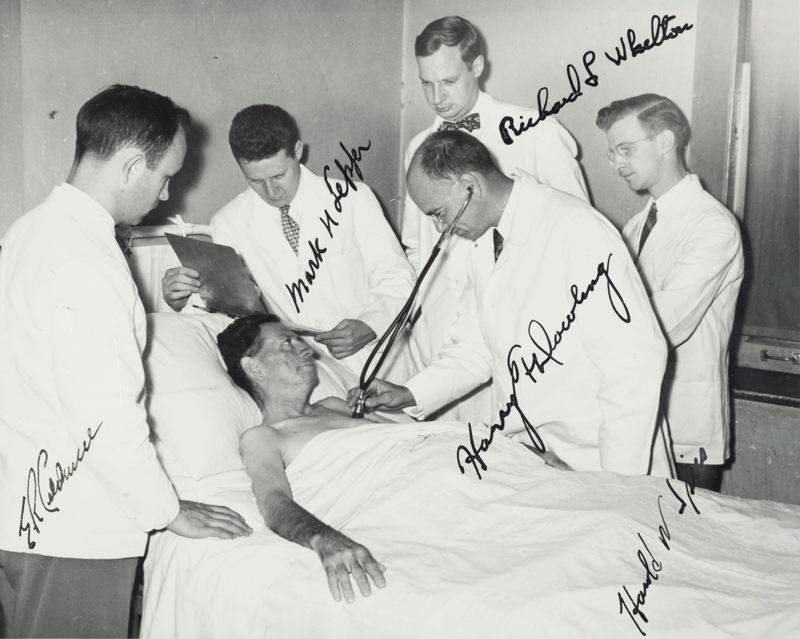 The treasure trove of each of these key reformers is held in the NLM’s History of Medicine Division, and I couldn’t be more grateful to have had access to them (and to the archivists and librarians who have made them available). SP: I was a history of science major in college at the same time that I was pre-med, and have hoped that my medical and historical efforts could inform one another as I’ve continued to evolve as a student, clinician, and historian. My experiences in the hospital and clinic have certainly played a key role over the past fifteen years in shaping my research interests concerning the “rational” treatment of patients. At the same time, thinking historically—regarding who gets sick and why, how we structure medical practice, research, and education, and the important relationships between medicine and the society in which it is embedded—has certainly shaped my approach to caring for patients. Dr. Scott Podolsky’s presentation was part of our ongoing history of medicine lecture series, which promotes awareness and use of NLM and other historical collections for research, education, and public service in biomedicine, the social sciences, and the humanities. Like many internists, I encounter some patients who insist on getting antibiotics even when the medications are not indicated. Education remains a challenge, even in the age of multi-drug resistant infections.